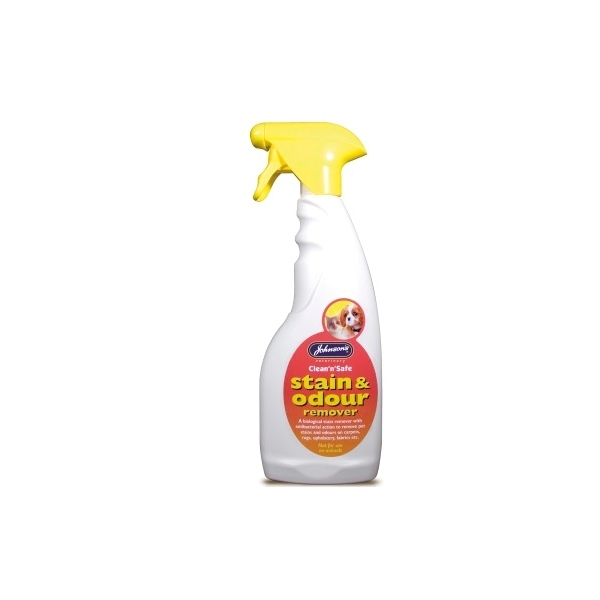 Clean 'n' Safe Stain & Odour Remover. A biological pet stain and odour remover with natural enzyme action for pet accidents on carpets, rugs, upholstery, fabric etc. in home or car. Not for use on pets.